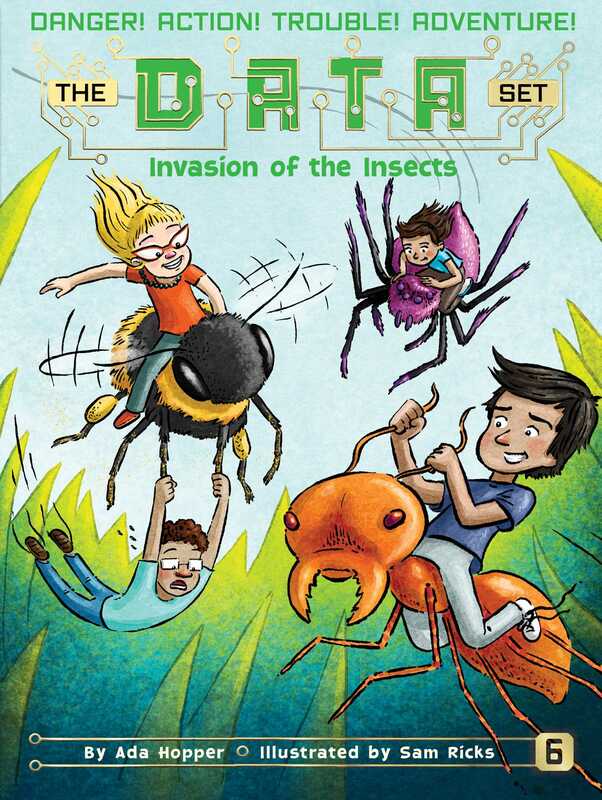 In this sixth DATA Set adventure the kids get shrunk down and go on a buggy adventure across Bunsen’s backyard. The town of Newtonburg has been invaded by all sorts of creepy-crawlies from mosquitoes to bees to ants and more! What’s worse is that they are all mysteriously swarming toward Dr. Bunsen’s house at the same time that Laura mistakenly gets shrunken down to the size of an insect. Can the DATA Set find their missing friend in time, or will Laura be forever lost in Dr. Bunsen’s backyard…which is full of grasshoppers, spiders, and things that go buzz in the night! With easy-to-read language and illustrations on almost every page, The DATA Set chapter books are perfect for emerging readers. Ada Hopper has been extremely inventive ever since she was little. There was nothing that a rubber band and some tweezers couldn’t fix, no question that couldn’t be answered by scouring the library, and no way she wasn’t escaping over that back yard fence! Ada loves reading and writing because of all the fantastical worlds a good book can bring you to. When not working, Ada enjoys karaoke, spending time with her family, and going on the occasional adventure or two. Sam Ricks grew up creating stories about toxic fruitcakes and peanut butter-snatching aliens. He is the illustrator of several books for young readers, including The Data Set series. Sam earned his BA from Brigham Young University and his MA from the University of Baltimore. He is a founding member of Cotopaxi: Gear For Good. He, his wife, and their five children live in Salt Lake City, Utah. Visit Sam at SamRicks.com.